Do you work at a desk all day? I have a little more freedom now than I did when I was in the office, but at times I still find my self sitting for hours. This is not good for my back or neck. Especially after my car accident I have to be really careful with my neck so getting up and remembering not to sit all day is a must. 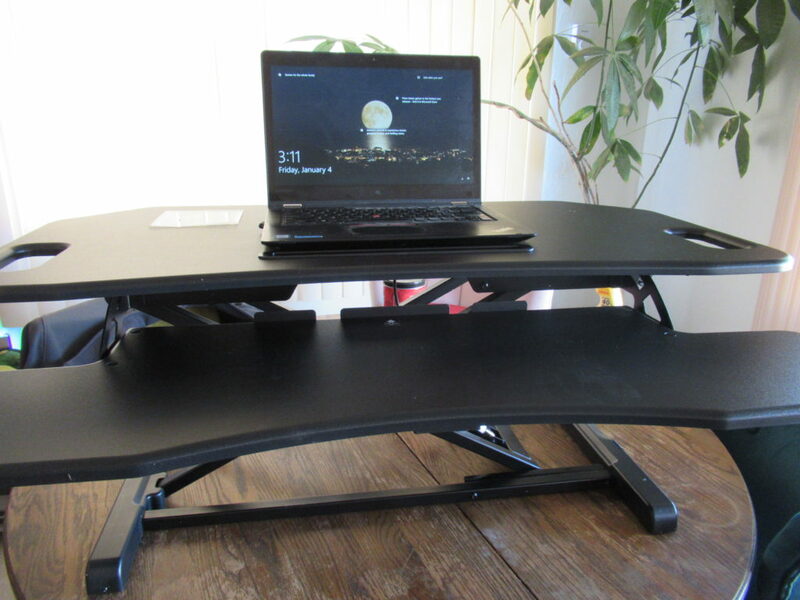 With this Jestik Shift, Sit Stand Desk Converter it is so easy to stand it up and keep on working. I can actually do it with one hand and there is no hassle at all. I can not tell you how much better I feel when I am standing to get some of my work done. My back and neck actually don’t hurt by the end of the day. This came in a larger box but was only about 5 minutes to put together. It weighs about 25 lbs. so if you need to you can move it very easily. I actually work a lot from the kitchen so I put it on the table for this week. When I get caught up from the end of the year, I will move it to my desk. 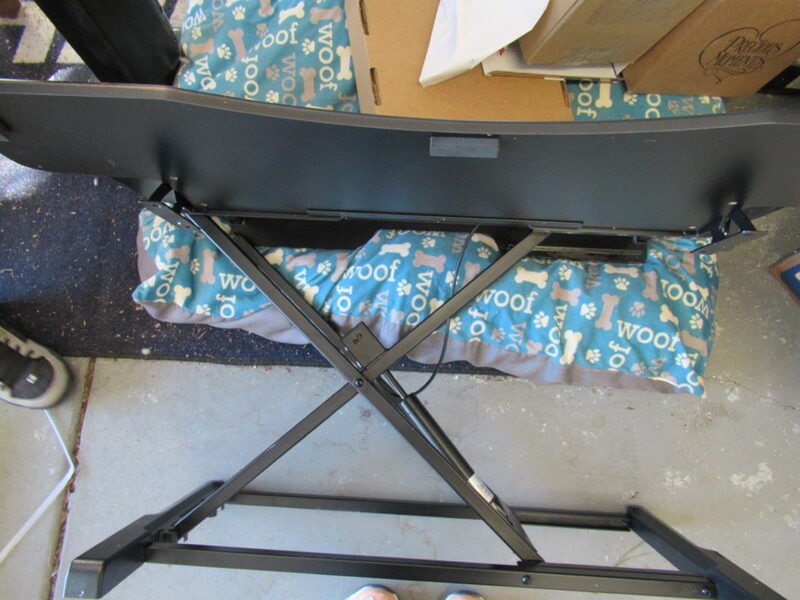 This has two different levels so if you work from a desk top you have another place for your keyboard which is nice. I always work from a lap top so the bottom lever is perfect to keep my notes. I can just pull out and read and put back. I love all the extra space on this desk I have spots to put everything I am working on and I can grab and take pictures or read manuals. 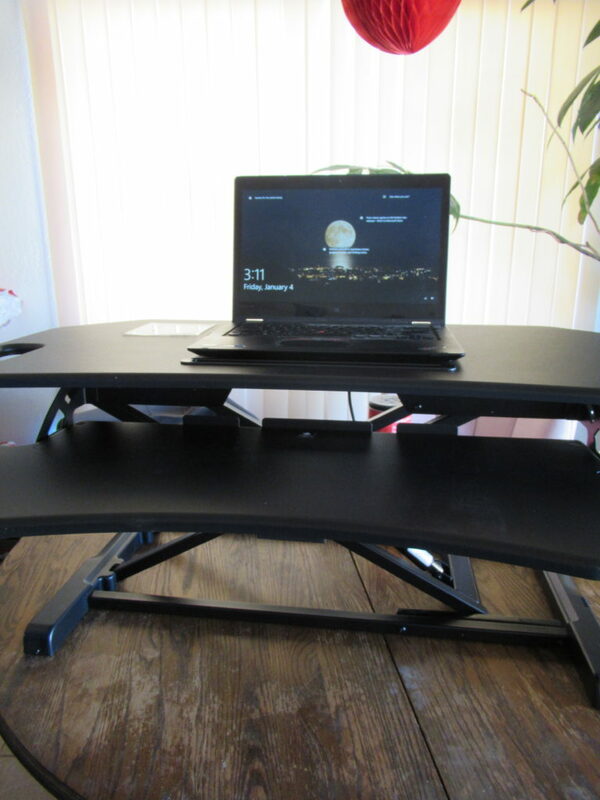 If you find yourself with a sore back and neck from working all day then the Jestik Shift, Sit Stand Desk Converter is a must. It can be easily added to any flat surface without ruining the surface below. 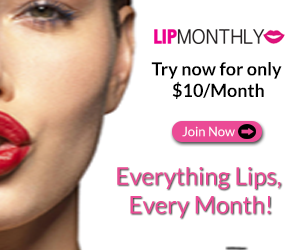 It will make a sure difference in your life and how you feel after a long day of work.